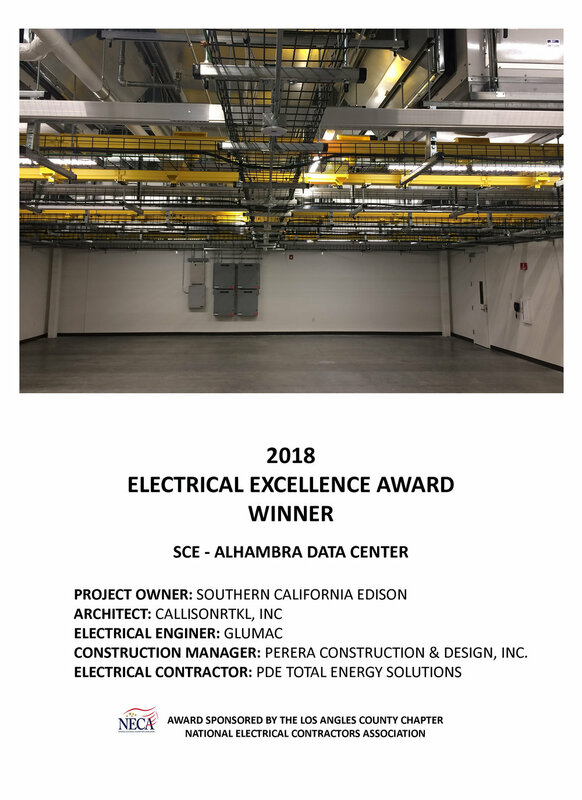 Morrow-Meadows Corporation (Morrow-Meadows), headquartered in Los Angeles, has completed plans to acquire Pacific Data Electric, Inc., dba PDE Total Energy Solutions (PDE). PDE will continue to operate under the new name of PDE Total Energy Solutions, a division of Morrow-Meadows Corporation. The transaction is anticipated to close in February 2019. The acquisition of PDE will accelerate and advance the company’s competitive position and enable the company to deliver expanded products, including zero emission building, battery energy storage systems (BESS), microgrids and advanced energy controls. 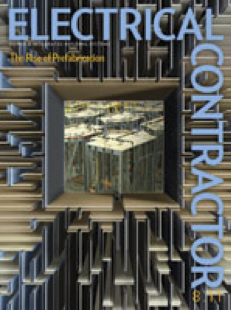 PDE was founded in 1990 by Dan Henrich and is headquartered in Santa Fe Springs, CA. PDE is a woman-owned business, with Shelley Keltner acting as Chief Executive Officer, with co-owners, Dan Henrich, President and Daniel Cohee, Vice President. 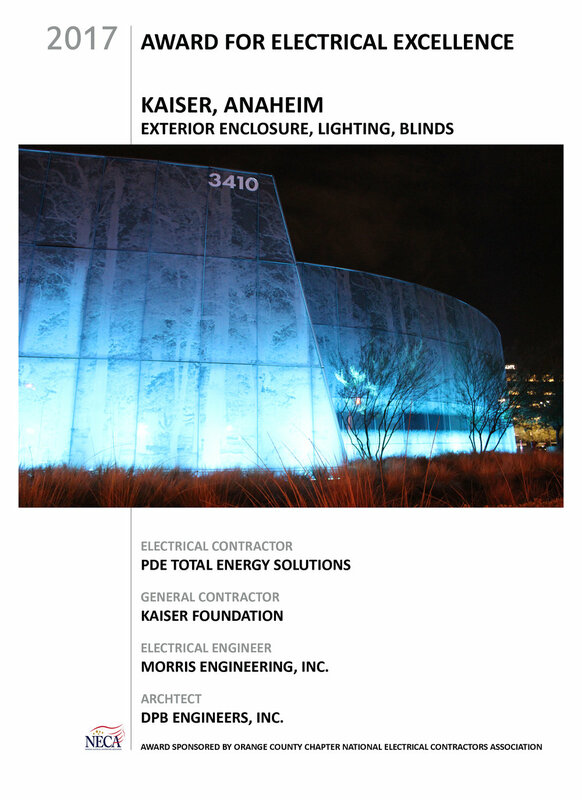 PDE provides engineering services throughout the United States and has experience with various international projects. 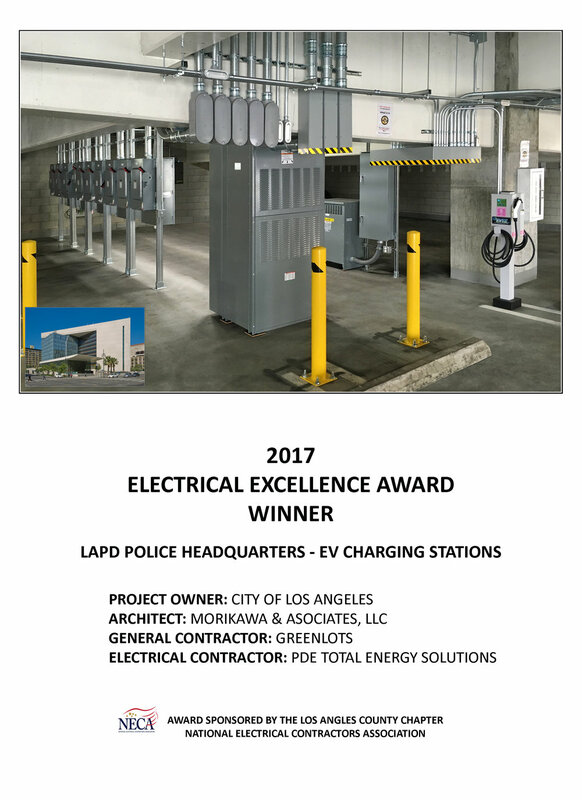 PDE has built a solid reputation as an industry leader providing microgrid and battery energy storage design, construction and maintenance services. Utilizing state of the art energy analytic modeling tools, PDE can reduce a client’s electrical costs while integrating clean resilient energy solutions. Leading the new Morrow-Meadows energy solution division from their Santa Fe Springs office will be Daniel Cohee, a 20-year industry veteran. Together with its seasoned field and internal support team, PDE has designed and built highly complex BESS systems for a wide variety of clients. Notable PDE projects include a BESS installation at Twentynine Palms, CA Marine Corps Base which was recognized in 2012 by Forbes Online as a Top 12 Energy Project in the U.S. PDE engineered an off-grid microgrid for a reverse-osmosis desalination plant on a remote Caribbean island, coupling a BESS with solar, transfer switches and advanced controls. The system supports a high-end resort, producing over 250,000 gallons of fresh water daily from the renewable resources. “Combining our services under one company will enhance our ability to streamline the BESS delivery model, improving the way developers and clients deploy BESS and sustainable energy projects. By providing complete turnkey solutions that can be installed faster than current solutions, we will have an economic advantage over the existing business delivery models,” said Cohee. There is a strong cultural fit with the management teams, an important consideration for both organizations. Shelley Keltner, Chief Executive Officer for PDE comments, “As family-owned organizations, our companies share common values, along with the same culture and principles centered on our employees, customers and continuous commitment to safety. Incorporated in 1964 in the State of California, Morrow-Meadows Corporation has become the premier electrical and data communications contractor on the West Coast. There is no secret to the company’s success: simply an unwavering commitment to customer service combined with the resources and diversity to provide for every electrical need. 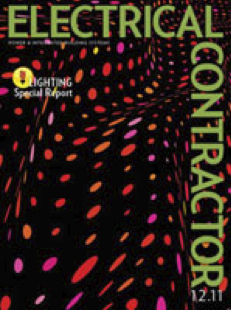 In its October 22, 2018 issue, ENR Magazine ranked Morrow-Meadows Corporation the 11th largest electrical contractor in the United States. Privately held, the company is well into its second generation of family ownership and continues to experience strong growth. The unique ownership of such a large company enables it to provide the flexibility its demanding customers expect. The company’s list of clients includes names like Disney, Intel, Fox Studios, Stanford University, USC, Los Angeles World Airports (LAWA) and Kaiser Permanente, all of whom have returned to Morrow-Meadows again and again. The company is led by Cathleen Vick, CEO, and is a certified Woman Business Enterprise and active in the minority and woman-owned business community. California offices include: City of Industry, Walnut, Anaheim, LAX, San Diego, San Carlos and Hayward. These offices operate under the Morrow-Meadows name. The new division, PDE Total Energy Solutions, a division of Morrow-Meadows Corporation, will be located in Santa Fe Springs. 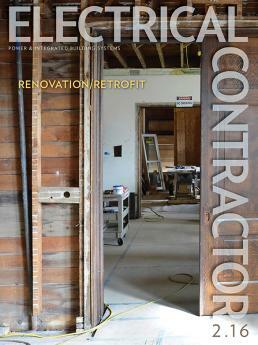 Cherry City Electric, also a division of Morrow-Meadows, is based in Salem, Oregon with an additional office in Vancouver, Washington. 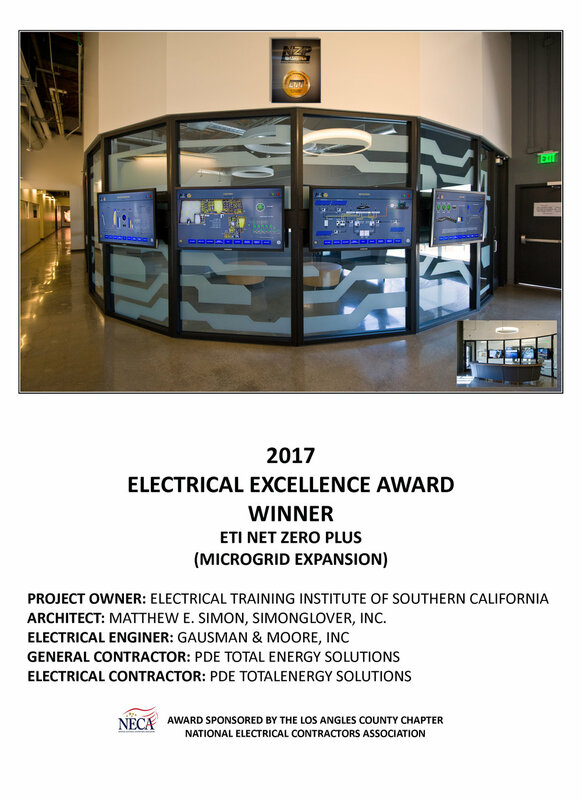 PDE total solutions' ETI NZP microgrid project named with impressive group of projects recognized in first year of neca project excellence award. 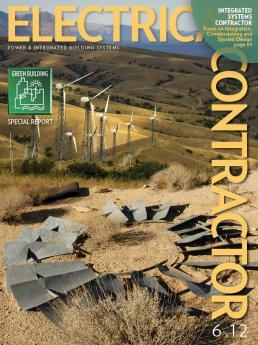 A diverse group of 17 outstanding projects have been named the winners of the first NECA Project Excellence Awards Program, created to recognize contractors who have done exceptional work around the country. 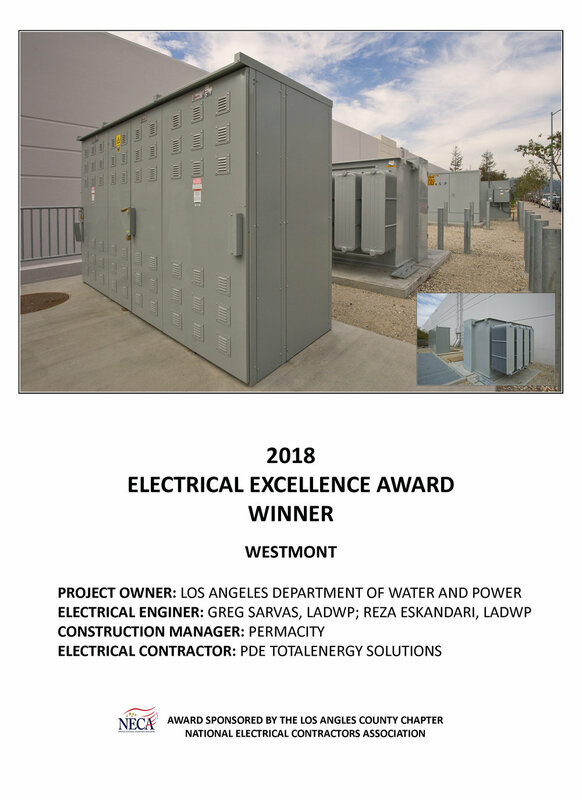 NECA created awards that honor companies for their commitment, professionalism, and ingenuity in delivering an electrical project across 11 different market sectors. “NECA is thrilled to have the opportunity to showcase projects of such an impressive caliber in the first year of this program,” NECA CEO John M. Grau said. Members of NECA’s Business Development Task Force recently judged the projects that were submitted based on aesthetics, application, difficulty, innovation and originality. “The display of talent, craftsmanship and passion for the work blew us away,” said Mir Mustafa, NECA’s Executive Director of Business Development. PDE Total Energy Solutions was recognized during the Monday General Session at NECA 2017 Seattle (Oct. 9). PDE has been selected as a finalist for the 2017 Defense Energy Technology Challenge, which is part of the Asia Pacific Resilience Innovation Summit & Expo in Honolulu on July 19-20. Click here image for more information.